Each year in the United States there are over 800 construction related deaths. Of these, more than 150 are caused by being struck by vehicles, construction equipment or other common workplace items. In fact, the so-called struck by accidents are the #1 cause of injuries on construction sites, and the second leading cause of death. 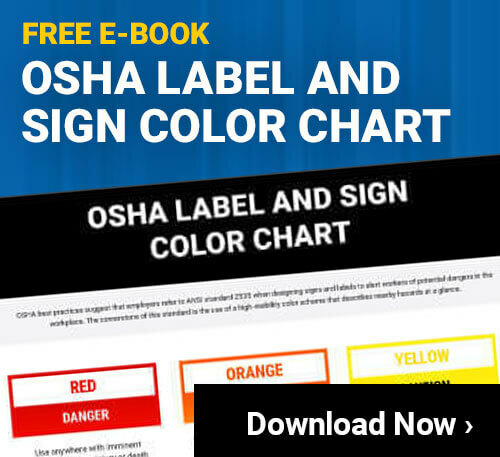 These types of accidents can almost always be prevented by following the standard recommendations put in place by OSHA and other safety organizations. Construction companies are obligated to take the necessary precautions to help reduce, or eliminate these types of injuries and fatalities. With proper planning, equipment and training, it is possible to dramatically improve safety, and reduce the number of struck by accidents on any construction site. There are four main categories of struck-by hazards that cause accidents on construction sites. Identifying which of these risks exist on a given work location can help allow the proper steps to be taken to prevent accidents. Falling Objects – Most construction sites have multiple levels of work that is taking place. When something falls from upper levels, it can hit the people working below causing serious injuries. Flying Objects – Objects can be made to fly through a construction site by a number of things. If, for example, an air pressurized tool is used improperly, it can cause items to be shot through the air. Saws, grinders and other equipment can also create this type of hazard. Swinging or Slipping Objects – When equipment is being lifted and moved, it creates a significant hazard. If, for example, a pallet of metal pipes is being hoisted up to the top levels of a work site, the pipes could slip out or the entire pallet may swing in the wind. Anyone working in the area is exposed to the swinging or slipping objects. Ground Level Objects – These are the most common cause of struck-by accidents. They can be anything from a moving hi-low, a crane swing, or even a car driving by. These types of accidents often happen very quickly, with very little warning, which is why it is essential to use preventative steps to stay safe while on the ground. When trying to keep employees safe from being struck by falling objects, it is important to work on preventing items from dropping, and providing employees on the ground with improved safety equipment. When people are working up in the air, they should always take steps to secure all the tools, parts and equipment they are using. If something is dropped, it should be tethered to the support structure to keep it from dropping all the way to the ground. When this isn’t possible, the area below should be cleared and partitioned off to ensure nobody enters. Keeping people well away from anywhere that items could potential drop will help to keep them safe. In addition to avoiding any falling objects, however, all employees should be provided with proper safety equipment, including hard hats, to minimize the severity of injuries due to falling objects. Whenever working with saws, belt sanders, pressurized air or gas, or any other type of equipment that could potentially cause objects to accidentally fly through the area, it is important to minimize the risk. While it may be difficult to eliminate the possibility of an object being pushed out of these machines, it is possible to direct the object properly. Positioning these types of machines so that in the event of a malfunction, the object would fly into a wall or protective material will eliminate the possibility of having flying objects posing hazards to those in the area. When equipment or parts are being moved through the area it is an especially dangerous time. The first, and most important, step to take is to properly secure all equipment. It is never acceptable to just place equipment down and lift it up. Even though it may seem secure while on the ground, the motion of the lift and the wind can easily cause things to become unstable. By using the right straps or other items to secure each item, there is much less risk of items slipping off the equipment and falling. In addition, it is important to keep the area around the items being lifted clear. People should not be working in the area, as when the equipment is hoisted off the ground, it could swing into people. This can cause them to become crushed, or injured in other ways. Marking off the area with safety tape or other partitions is essential for preventing swinging or slipping accidents. Of all of the types of struck-by accident categories, this is the most common. Most construction workers spend the bulk of their time working at ground level, and that is also where many hazards exist, so this makes sense. With this in mind, employers and employees alike need to work hard to help identify potential risks, and take steps to minimize them. Using safety supplies like ‘Do Not Cross’ tape or floor signs that alert people to a specific hazard is a great place to start. These types of visual signals can help people to be more alert, and watch out for dangers that they might not have known existed in the area. One great example of where these safety supplies can be used is around a crane. Cranes are one of the most dangerous pieces of equipment because they have so many moving areas, and the crane operator has a very limited line of sight. By partitioning off the swing radius of the crane, it is possible to keep everyone out of harm’s way while it is in use. Of course, this type of safety equipment can be used around any ground level hazard to help improve the safety of construction sites. No matter what steps are taken to improve the safety of a workplace, however, it is not going to be effective if the employees don’t know how to follow the procedures. Providing training on how to use safety supplies, and what types of personal protection equipment are needed in different situations is absolutely essential. In many cases, training can be quick and easy, providing each employee with the proper guidance they will need to keep themselves, and those around them, safe from struck-by accidents. It is the responsibility of all construction companies, and all employees, to always be aware of these types of hazards. Struck-by accidents are extremely serious, and are all too often fatal. By taking extra precautions, and being aware of the risks associated with construction work, it is possible to limit the potential for accidents and injuries on any construction worksite.